Hey Korn fans — you could be the proud owner of one of Munky’s genuine stage-tested Follow The Leader anniversary guitars. If you’ve got a spare US $7.5K handy, that is! The dreadlock-sporting nu-metaller is putting his limited edition axes up for sale in honour of a good cause — raising funds to help foster kids and orphans in his native Southern California. 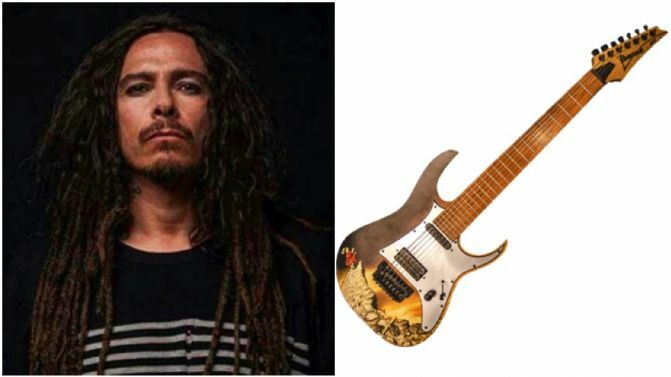 Each of the six seven-string APEX200’s comes complete with custom Follow The Leader artwork “to commemorate 20 years of the legendary album”, according to a description on Munky’s website. Cop a squiz of the goods right here. And if the axes are a bit out of your price range, Korn have also recently started selling their own coffee.